The New Cathedral is one of a pair, aptly named Catedral Nueva (new) and Catedral Vieja (old). 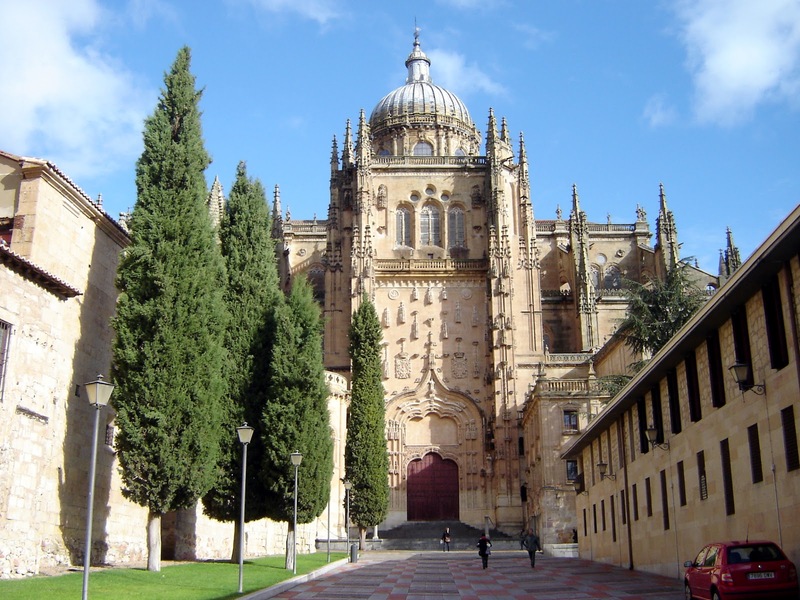 They are physically connected to each other – the new one was begun in 1513 when it was decided that the old cathedral was too small. The Catedral Vieja was started in the 12th century in Romanesque style. It was completed a century later and one of its main attractions is its highly intricate 15th-century altar – the work of Nicolás Florentino. 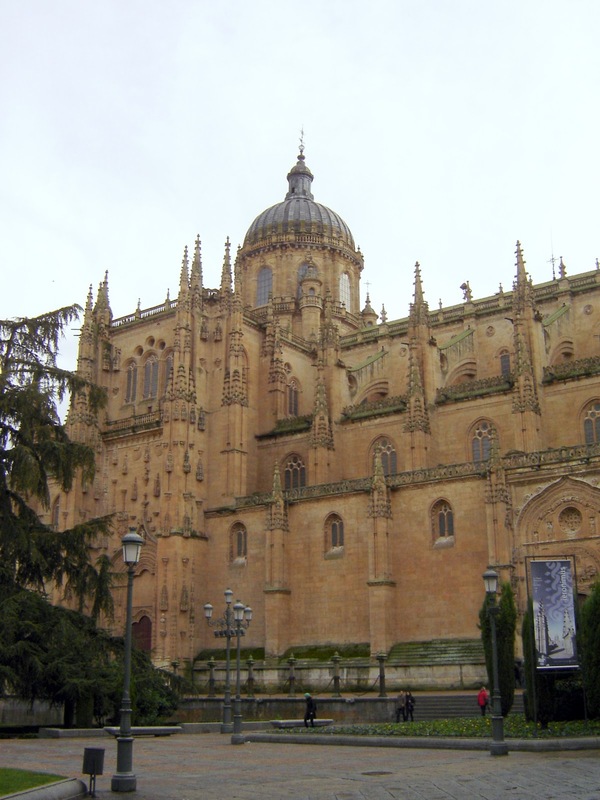 The Catedral Nueva was built in late Gothic style with Renaissance and Baroque decoration. 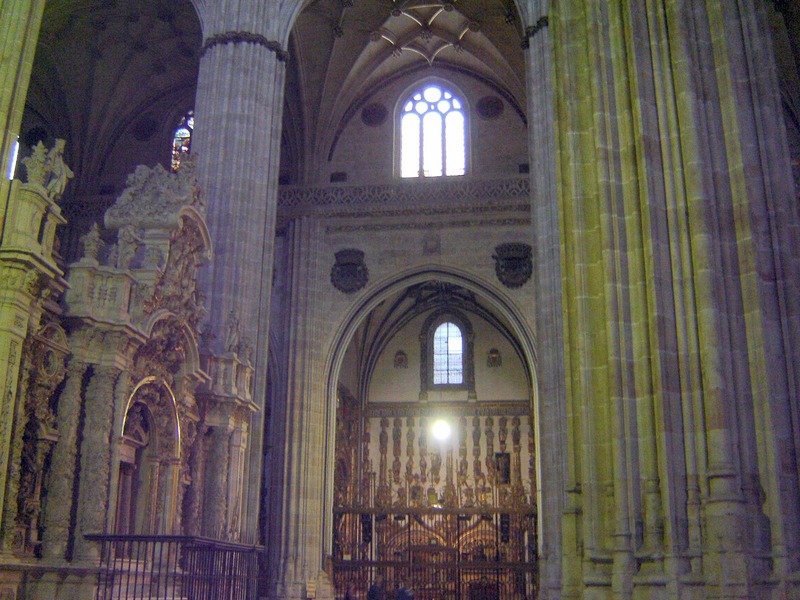 Inside there are eighteen chapels but the Capilla Dorada is the best, housing as it does over a hundred sculptures. 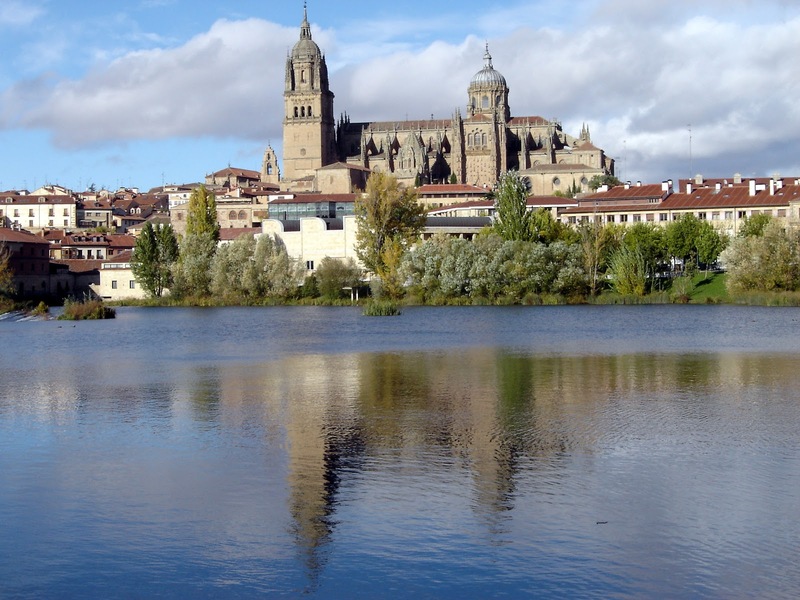 This entry was posted in Photography, Spain, Spanish Impressions and tagged Bovington, Castile-León, cathedral, photographs, photos, Salamanca, Salamanca Cathedral, Spain. Bookmark the permalink.